Last fall PUBG got pretty upset when Epic announced its own king-of-the-hill game mode for Fortnite. At the time the company stated that it was considering "further action" in light of the news. If The Korea Times' report is to be believed, PUBG has decided that eight months was precisely the right duration to wait before doing something about how it felt. This isn't the only suit the company is involved in, either. It recently sued NetEase in a California District Court for copyright and trademark violations related to a few of its mobile battle royale-style games. Without seeing the particular details behind this new lawsuit, we can't really say what the odds of an actual violation may be. 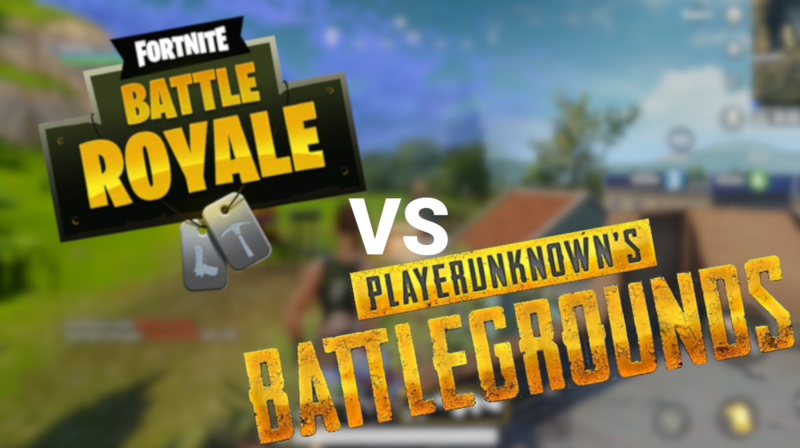 But considering the modes in each are really just clones of earlier works, such as Minecraft mods, H1Z1, and DayZ, it's difficult to see how PUBG might have any merit behind an argument of copyright violation unless its claims are about something more specific, like game assets—although PUBG isn't exactly original in that regard either. 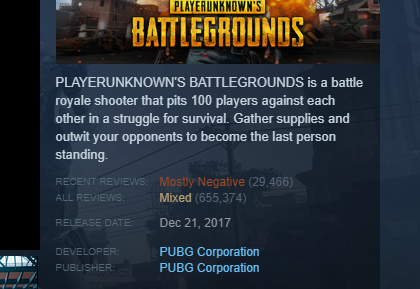 PUBG's review ratings on Steam. Overall public opinion on the subject of PUBG seems to be in decline as a result of both its performance issues and rampant problems with cheaters. Given that so far this dispute seems limited to Korea (PUBG's home market), and not long after Epic's introduction of Fortnite to the country, one could adopt a more pessimistic attitude and assume that the company hopes to benefit from a bit of protectionism via a friendlier domestic court. We'll just have to see how the merits of the case work out, or if the dispute spreads to any other jurisdictions.